Everyone we’ve talked to who has driven the Mazda CX-5 has loved it. Mazda’s attitude towards making every vehicle they produce fun to drive has really helped to set them apart over the past few years, and the CX-5 is one of the best vehicles Mazda has ever produced! 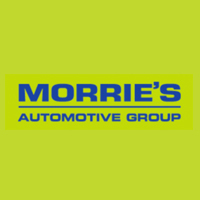 If you haven’t had a chance to see one up close, stop by any of our three Morrie’s Mazda stores in Minnetonka, Inver Grove Heights, or Chippewa Valley, WI and pick up a pair of complimentary 2018 Twin Cities Auto Show tickets while you’re there!